The team at Crabtree looks at why you should expect better from your accessories. 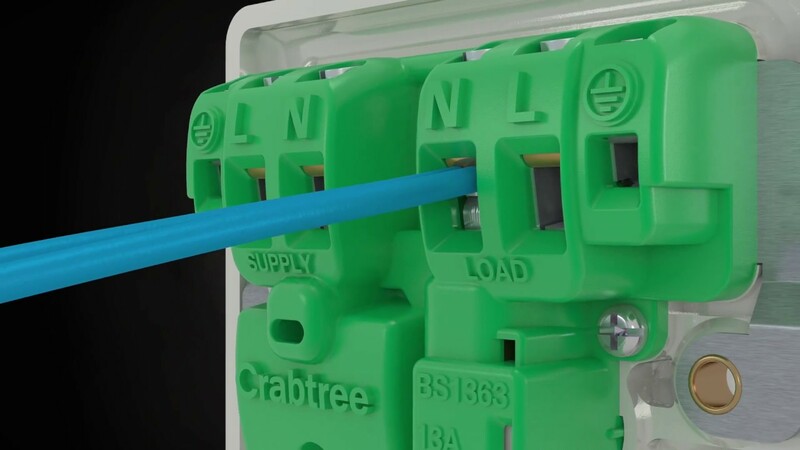 For nearly 100 years Crabtree has been leading innovations in the wiring accessory industry – from improving our homes to keeping the wheels of industry turning. In this time there have been some significant and ground-breaking contributions to both style and safety. With the Instinct range, we’re proud to say that we’re keeping this forward-looking spirit alive. Filled with innovative and practical advancements, the range gives specifiers and installers the solutions they’re looking for to be competitive while maintaining the quality, reliability, style and functionality required in today’s highly competitive commercial buildings market. In terms of breadth of selection the Instinct has your needs covered, with over 300 new wiring accessories in the range. The portfolio features slimline plates with soft curves, smooth lines and contoured profiles. These carefully considered design details ensure they fit naturally into any environment with a classically timeless look that will serve gracefully. While the operation of every switch gives a satisfying feel of quality and class – the kind of finishing touch that leaves clients happy and impressed with their contractor. 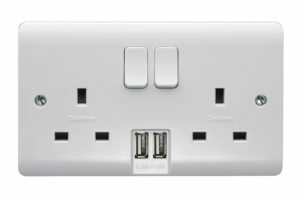 These ‘No Miss’ terminals offer a more secure and efficient method of connection. 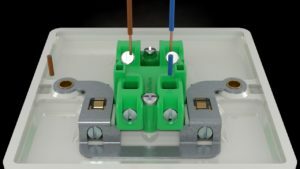 There is no chance of incorrect cable positioning and this terminal design eradicates the risk of cable core damage that occurs with screw terminals. We’ve created upward facing terminals throughout the range, all accessible from one orientation, and with an instantly recognisable terminal layout including segregated inline supply and load terminals, nested for convenience. This improves installation time. It’s quicker and easier to connect. Cables can be cut to the same length and use less of the interior space. 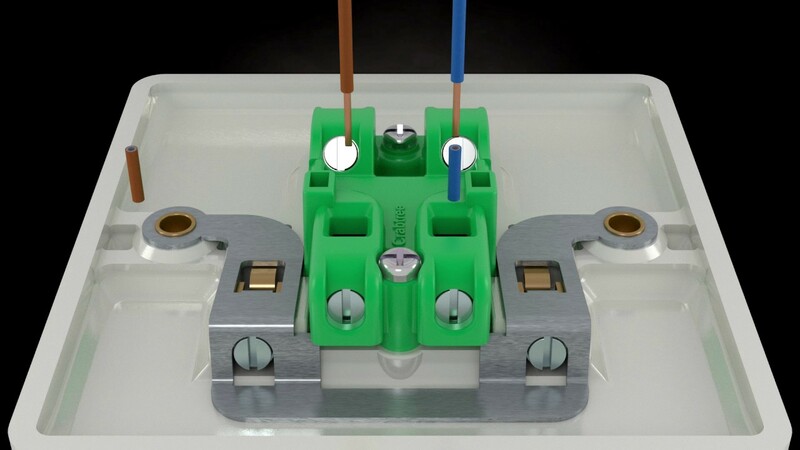 It gives safer and more reliable installation – no twisting or turning of the plate means no loosening of cables that were just terminated. We’ve developed a two-part operation shutter with a two-piece mechanism that requires multiple pins to fully operate the shutter mechanisms. The live and neutral pins don’t open unless the earth pin is operated. Live and neutral shutters are fully locked until the Earth pin is inserted. It ensures that live and neutral remain closed even with the Earth pin engaged. This meets and exceeds British Standards. Our Fused Connection Units & 20A switches have an improved, unobtrusive, integrated LED switch indicator and feature full contact clamps, helping to improve cable positioning and retention. 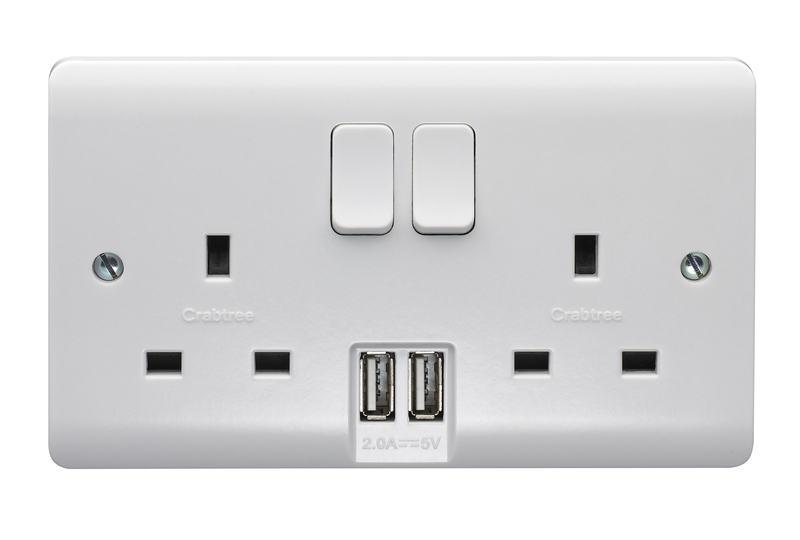 13A sockets with double pole switching and Integrated USB charging outlets that meet the latest product standard (BS1363-2:2016+A1) and include automatic charge optimisation to match the corresponding device. 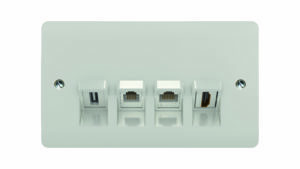 When it comes to installation, the upward-facing inline terminals make the entire range simple and reliable to install. It’s a design that’s sure to save you time as well as delivering peace of mind. Instinct also meets all the relevant standards, giving you total confidence when you choose it. Next : Part P : What more could be done? Incompatible Connector Products: What Are The Dangers? AFDDs: Is Arc De Triumph?